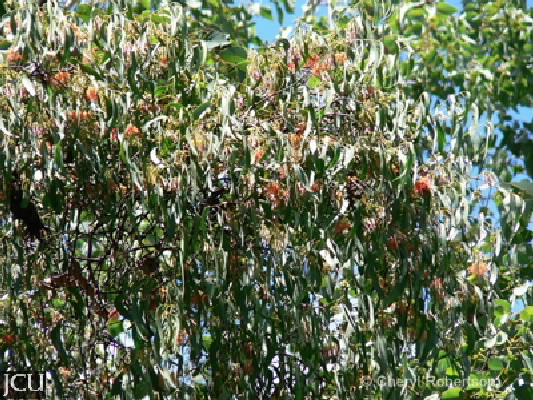 This mistletoe is commonly found on eucalypts. Epicortical runners are absent, the flowers are straight, petals 5-6 free from one another, usually rusty-coloured and tomentose. Host plants are eucalypts.